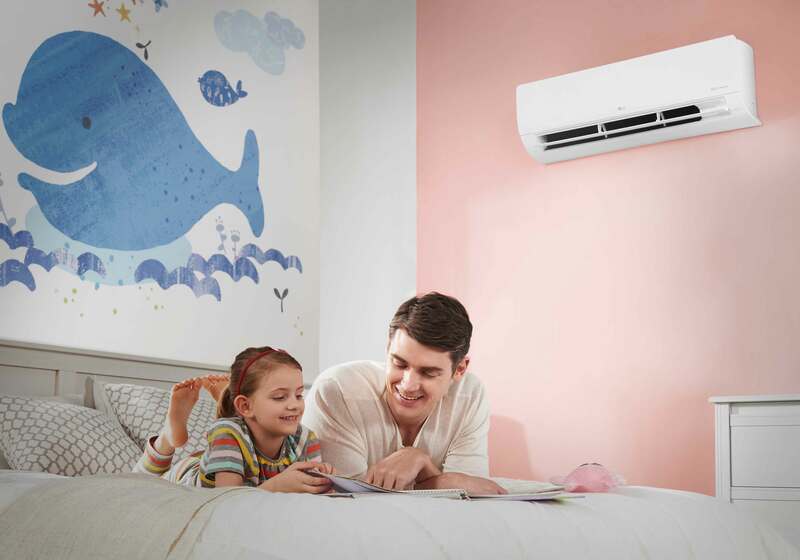 LG air conditioners with the unique Hi Cool Technology* promise to cool you as soon as you switch on the air conditioner. With just the touch of a button, you will feel as cool as in the Himalayas. The Monsoon Comfort technology provides the right cooling during high humidity and monsoon season. As compared to the normal dehumidification mode in other air conditioners, the monsoon comfort technology prevents overcooling and saves energy up to 36.4% . Auto clean feature dries the wet heat exchanger to help prevent mould and bacteria from breeding. The timer allows you to turn On / Off the AC at the time of your choice for an undisturbed sleep. On timer switches On the AC and Off timer switches off the AC on the set time. When Sleep mode is activated, LG air conditioner’s unique microprocessor automatically adjusts the room temperature to match your body metabolism rate during sleep hours, thus giving a comfortable environment to sleep and also saves energy. This function protect the vital components of your machine from power fluctuations within the range of (145-290V)*. If power fluctuation is beyond the above mentioned limit then stabilizer is required for normal functioning.